Buskers. Every country has them. That was what I discovered on my trip to Spain. But what is the definition of the word ‘busker’? Busker. Defined on the free online dictionary as a person who entertains people for money in public places, usually while asking for money. 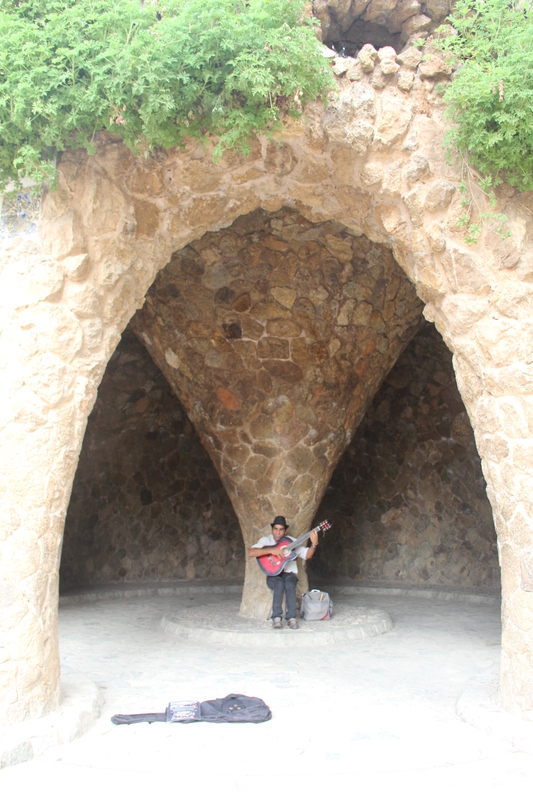 My first encounter with a busker was at Park Güell. I was surprised as I only expected to see tourists and fascinating architecture. But throughout the park I was treated to an array of talented buskers. This lady impressed me the most. I loved the way her flowy skirt moved as she danced. I was mesmerized. I felt as if I could see the wind through the movement of her skirt and her fan. When we continued exploring the place, we realised that just above her on the main square, there are many other buskers entertaining visitors to the park. In the chaos and the sea of people on the main square, this busker caught my eye. I thoroughly enjoyed watching him entertain this little baby who gave him his undivided attention. Although, it was probably the soap bubbles the baby was fascinated by. Our encounter with buskers didn’t end there. We left the park without seeing all of it as we wanted to explore more of Barcelona. And on the way down and back to the train station, we came across this guy. We saw him from a distance and thought he was a statue. But on the way towards him, my mum and I were debating the possibility that he was another busker. But how could he be sitting on air and stay in that position so long!? As we approached him, it was becoming clear to us that he was human. Except that he wasn’t moving at all. He didn’t even blink or twitch. We stopped to observe him for a bit. I even walked around him to try and figure out how was he sitting on air. Fascinated and impressed, we dropped some cash into his bowl and woe and behold, he moved! My mum decided to take a photo with him and in my excitement and glee I forgot to ask him what was his trick. I suppose even if I did ask he wouldn’t tell me. Secrets of the trade and all. I couldn’t do that. Paint myself gold from head to toe and sit there in the hot sun without moving an inch. It’s a tough life they’ve got. Our next encounter with a busker was at La Ramblas. This busker really went all out! Check out her wings! I think she deserved more than a dime or two for her effort! I wish I had the courage then to go up to each of them to ask about their story. Why are they busking? What do they like and dislike about busking? How much do they earn from busking? Shamefully I have to admit that in Singapore, I don’t really pay much attention to the buskers here. Yet when I am overseas, I will be more open and allow myself to be fascinated by their performance. I think this is the case for me because while I’m on holiday, I find that I allow myself to slow down and take in the sights and sounds of the places I find myself at. But in Singapore, I tend to be blasting my music, rushing from point A to point B. On the other hand, my boyfriend supports buskers performing on the street by donating a small sum every time he passes one if they were playing an instrument. I think it’s because he’s an amateur musician. But what about you? Do you give them the time of day? Have you ever heard of The Busking Project? When you pass a busker, do you stop and give them your attention even if its just for a while? 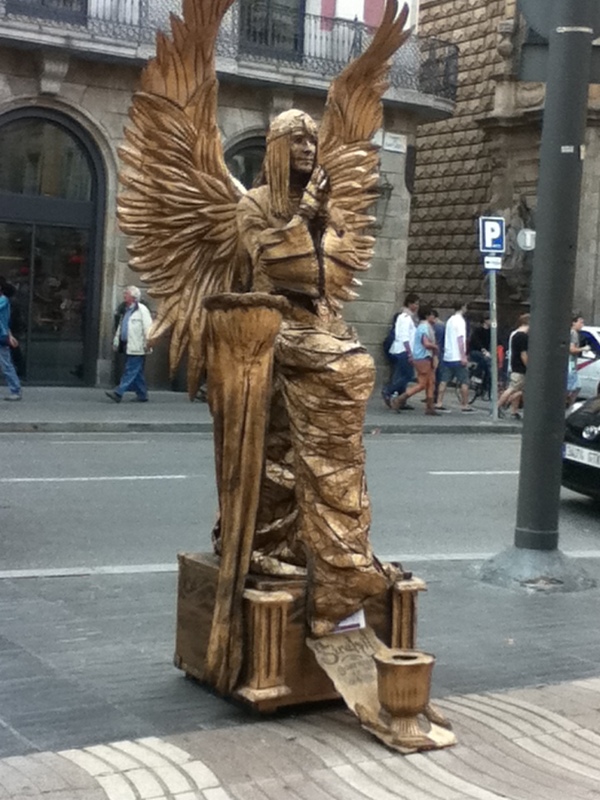 What are your favourite type of street performers?